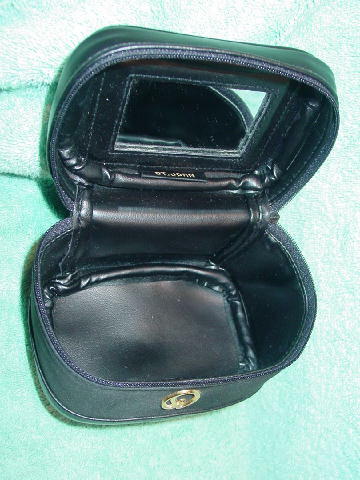 This black mini makeup case is by St. John. There is a synthetic outer center and the rest is in faux leather (black vinyl). The black interior is in the black vinyl. The interior lid has a 2 5/8" wide by 1 3/4" high mirror. 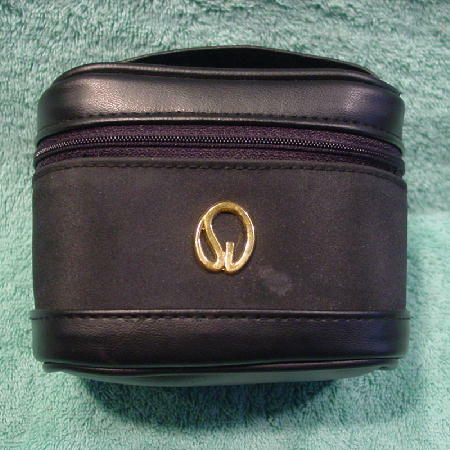 The upper sides and front have a zippered opening and a little 5 3/4" long by 3/4" wide handle. On the front center is a gold-tone St. John logo ornament. To the lower right of the logo ornament is a light gray angled spot (3/8" at its longest by 1/4" at its widest). It's not visible at all angles or in all lighting. The interior tag below the mirror says St. John. 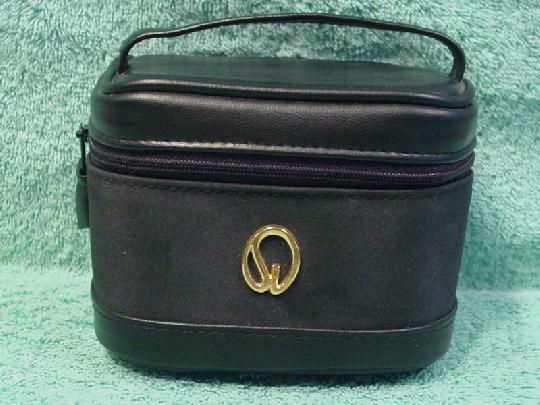 You can use it as a mini makeup case or a cute little handbag.